Great Barrier Reef, Queensland. Image via Commonwealth of Australia, Department of Defence. A defence prime is using its know-how in autonomous ocean vehicles to improve the health of Australia’s iconic Great Barrier Reef. Boeing and the Australian Institute of Marine Science (AIMS) partnered to demonstrated how high-tech autonomous ocean vehicle the Wave Glider can improve monitoring of the Great Barrier Reef and coastal waters. The partners recently completed a seven-day open water mission covering 200 nautical miles, including parts of north Queensland’s Great Barrier Reef, the use of the Wave Glider was the first major milestone of a five-year joint research agreement between Boeing and AIMS. The autonomous vehicle, developed by Boeing subsidiary Liquid Robotics, was deployed at the Great Barrier Reef to help assess the health of the coral reefs and ecosystems. Powered by waves and sun, the Wave Glider provides continuous, real-time environmental ocean data using a suite of on-board sensors and software. As it travels along the ocean’s surface, Wave Glider measurements include weather, wave heights, water salinity and pH levels, chlorophyll and more. Boeing vice president and general manager autonomous systems Chris Raymond said the company's technology will help improve data collection for the Great Barrier Reef and other important coastal waters. "Boeing and our Liquid Robotics team are proud to support AIMS in its mission to monitor the health of the Great Barrier Reef," said Raymond. "The demonstration proves how autonomous systems like our Wave Glider can improve upon human-based environmental data collection methods while also being safe and affordable." “We are impressed with the number of different measurements it could conduct at the same time and its ability to transmit the data back to our base immediately and reliably while navigating and performing its mission,” said Dr Llewellyn. "It went where it was told to and it stayed the course like an orienteering champion. 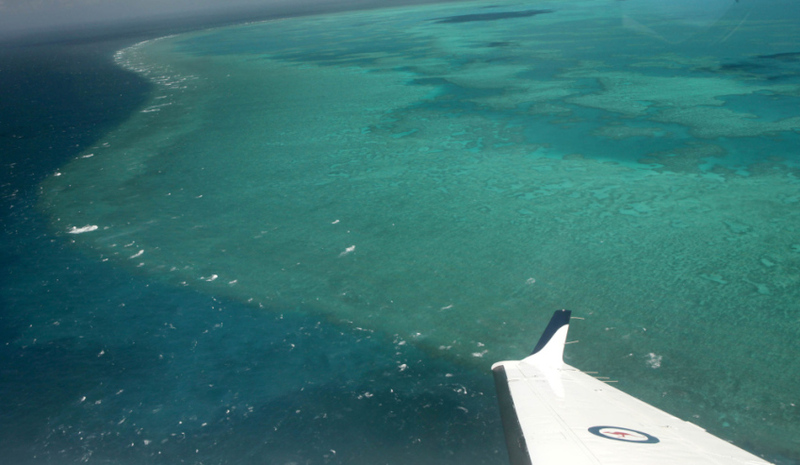 The Wave Glider technology will be an important tool to advance our mission to better monitor the Great Barrier Reef."